I am a big fan of leftovers, and I will be quite honest about that. I know a lot of people who probably are not, but to me the leftovers always pose a creative challenge for me, and I am always game for that. When I made those Renaissance Faire style mushrooms back in September, well, I was left with plenty of them to eat. With that said, I was also sitting on some leftover shredded beef roast that I slowly braised during that time. I knew exactly what I was going to make with, mushroom stuffed potatoes. Whoa, was this awesome. Start by slicing your cooked baked potato down the middle, but not all of the way through. Use your fork and lightly mash some of the cooked potato. Add in the butter, and gently mix into the potato. 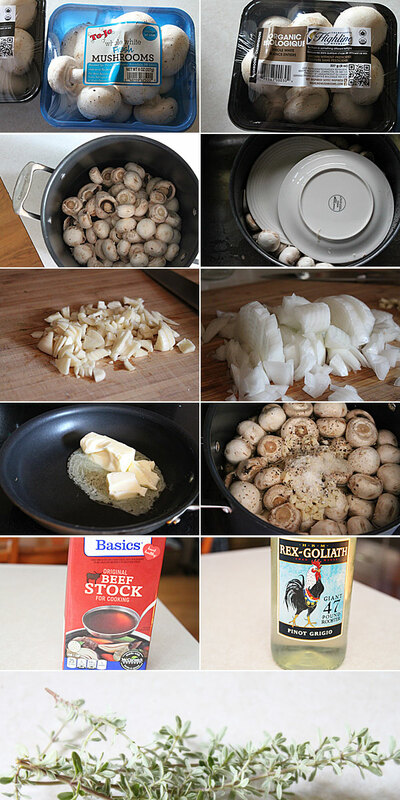 Top with the shredded beef, and pour over the mushrooms. Shower with the chopped chives and serve. It doesn’t get any easier than that, right? 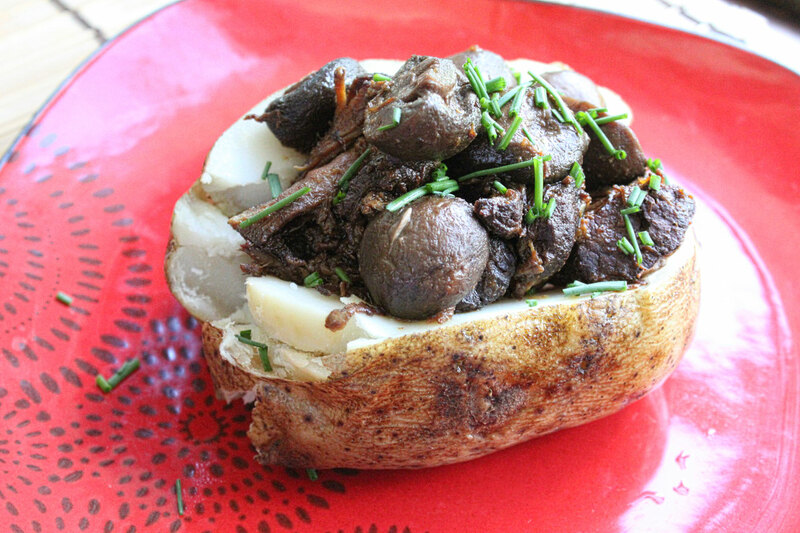 The beauty about these leftovers is that you get that great taste from the mushrooms that have been bathing in their wine and herb stock for a couple of days, and the great shredded beef that adds just the right texture when eating the baked potato. It’s heavenly, filling, and just a perfect meal in itself. So, question for all of you… Like or dislike leftovers?